With more than 15 years of experience, Carpenter Insurance NW strives to provide exceptional service and a variety of options. 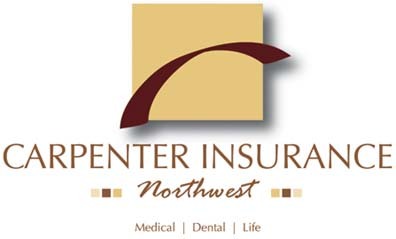 Kim Carpenter is the owner of this independent insurance agency located in Spokane. She works with medical, dental, and life insurance for businesses and individuals. Her husband is an officer with the Spokane Police Department, so she understands the concern and need for finding affordable health care coverage between retirement and Medicare eligibility. It does not cost you extra to have an insurance agent, and she can help you through this complex process. List of everyone in the family needing health insurance. Is anyone a tobacco user? What county does the family live in? Your COBRA premium cost through your employer (Optional – this is to compare individual health plan rates with COBRA). Your projected Modified Adjusted Gross Income (for the current year), in case you qualify for a health insurance tax credit. Do you qualify for coverage elsewhere, such as through a spouse? If so, what is the rate? A “Certificate of Coverage” (COC) from your current insurance company. You may not receive this until after you retire. Avoid the “bite” of COBRA: As law enforcement officers prepare to retire, questions arise concerning health coverage until Medicare eligibility. COBRA and individual plans may not be the only options available to a retiree. Since each retiree’s situation is unique, Kim recommends speaking with her personally before recommending any options. These consults are free, can easily be accomplished over the phone, and do not take long. Option 1: One option available to a retiree is COBRA. In a nutshell, COBRA (which stands for “Consolidated Omnibus Budget Reconciliation Act”) allows you to temporarily continue the coverage you currently have with your employer, except that you pay the entire monthly premium plus a possible administration fee. COBRA coverage lasts for 18 months. (Note: By law, employers with less than 20 employees cannot offer COBRA). Option 2: A second option for retirees is an individual health plan. You can sign up for individual health insurance outside the “open-enrollment” period if you have a qualifying event, which includes retirement/loss of group coverage. However, you MUST sign up within 30 days of losing your group coverage! Please keep in mind, individual health plans are highly flexible, can be less expensive than COBRA, and each member of your family can choose a different plan, depending on their needs/circumstances.